Fifteen-year-old Simon is in the 7th grade. He’s a couple of years behind his peers in school as he was absent due to his family’s financial situation. He lives with his parents on a small farm, with no running water or electricity, in rural Kenya. Simon’s parents struggle on a daily basis to make ends meet; they frequently don’t have enough food to put on the table and rely on their neighbors to help them. The children often miss school, as they are needed to assist the household by fetching firewood and water, cooking, and cleaning. 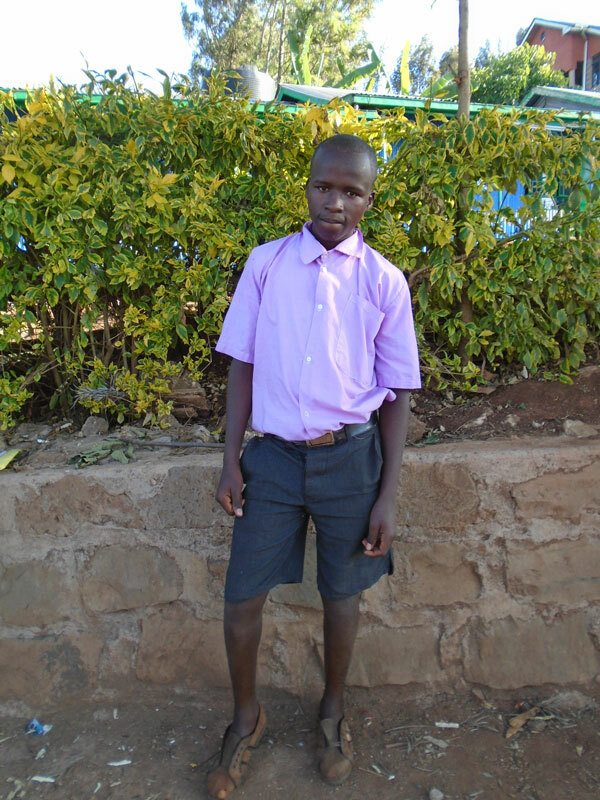 His parents are also unable to pay for school fees and basic necessities such as uniforms and school supplies. Magdalene, Simon’s sister, is currently sponsored by Moja Tu. She is a very smart girl and is at the top of her class, heading into secondary school in 2017. As part of our regular visitation process, we met her siblings and knew that we could provide an opportunity for them pursue their education. Their mother wants to have the children relocated to a children’s home, where they can attend primary school and be properly cared for.